Lean Construction Ireland (LCI) has organised events, webinars, and launched a new website in the past year. There is a growing interest in Lean Construction in Ireland. Irish building magazine spoke to Richard Fitzpatrick of the National Paediatric Hospital Development Board to get a client’s perspective and Gary Widger of Mercury Engineering to hear from the supply side about the progress of Lean in Ireland. Darrin Taylor, Co-Director Lean Enterprise Excellence Group at Waterford Institute of Technology, spoke to us about what is happening throughout 2017. LCI is an independent and voluntary not-for-profit association whose members passionately believe that Lean Thinking and Practices can enable and sustain enhanced effectiveness, efficiency, productivity, and profitability for the Irish Construction Sector, Clients, and Supply Chain. The Leadership Group comprises approximately 30 individuals from across the AEC sector supply chain, client-owners, and academia. 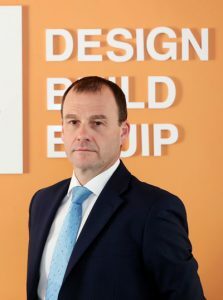 Irish building magazine spoke to Richard Fitzpatrick and Gary Widger and questioned them about the growth of Lean Construction in Ireland, what it offers stakeholders and what can be done to further implement Lean. Richard Fitzpatrick is Director for Programme Management and Project Controls for the National Paediatric Hospital Development Board (NPHDB), and a member of the Executive with responsibility for delivering the New Children’s Hospital – the largest single capital investment in any healthcare project in Ireland. Richard is Chair of the LCI Leadership Group. Gary Widger, Head of Innovation & Change has a proven track record in the design and delivery of innovative business transformations that add value across large companies in Europe, Asia and US. 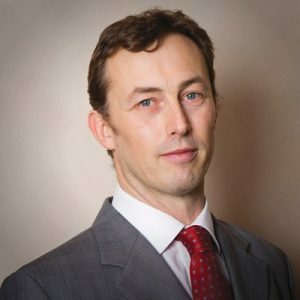 He holds a first class Mechanical Engineering Degree, MBA, and Diploma in Strategy, Innovation & Change from Smurfit Business School. He is a member of the LCI Leadership Group representing Mercury Engineering, Ireland’s largest M&E Engineering services provider. The new LCI website, which was launched in February, provides a portal to various information, materials, and links of relevance and interest to members of the LCI Community. There is a calendar of events and activities, a repository of information and other materials from past events. There is also a knowledge section with presentations, case studies, publications, and links for people interested in Lean. In the past year, LCI has held a number of successful webinars delivered by experts on Lean topics. There have been 7 Webinars delivered to an audience of construction professionals on such topics as “Lean Transformations”, “Waste Walks”, “Direct Observations”, “the Cost of Quality”, and “BIM & Lean”. Recordings of these are freely available via the LCI website, and you can read about Direct Observations in our interview with DPS Engineering’s Richard Casey in this issue. There have been two regional/local breakfast sessions, facilitated by a sponsoring/host organisation, examining particular topics held (one in Cork and one in Waterford), with more planned for the same locations in March/April 2017, and elsewhere later in 2017. LCI invites all individuals and organisations in the Irish AEC sector interested in learning more about Lean Construction to visit the website and to come along to the various free events and activities, details of which can be found on the website. Lean Construction is taking hold in Ireland; Lean and BIM are different but complementary and mutually reinforcing approaches to excellence in design and build; public and private Clients are increasingly demanding Lean Construction on their capital projects; and Lean can provide not only added value for companies in the AEC supply chain, but also significant competitive advantage in this changing and more demanding landscape. Lean Construction can enable all in the capital project value chain to benefit. Irish building magazine will have news on Lean Construction in Ireland and interviews with practitioners throughout issues of the magazine in 2017. Our goal is to provide readers with the best information on Lean Construction from Ireland and abroad.